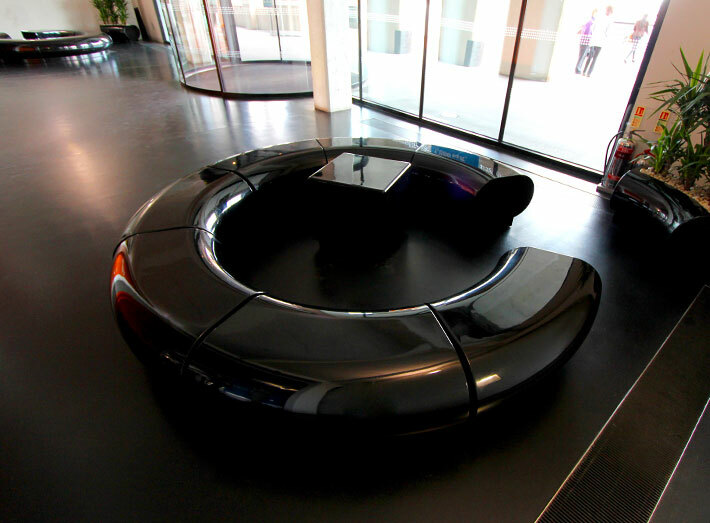 Halo seating is composite moulded and ideal for such high use areas. 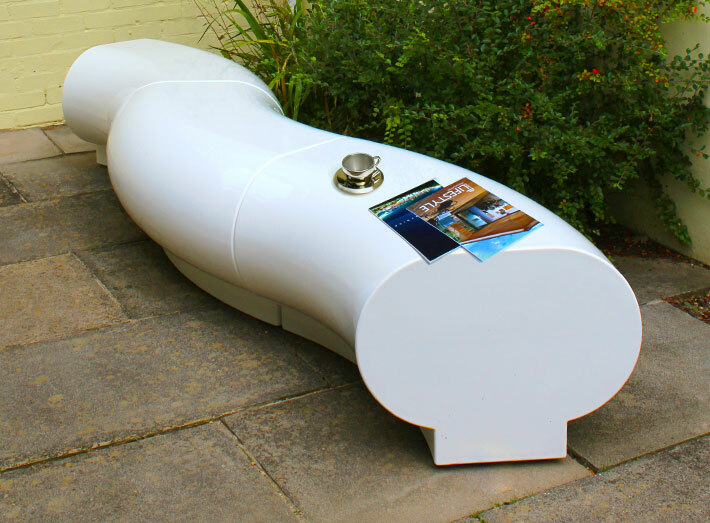 Handcrafted in the UK, highly durable and require the minimum of maintenance. 1. 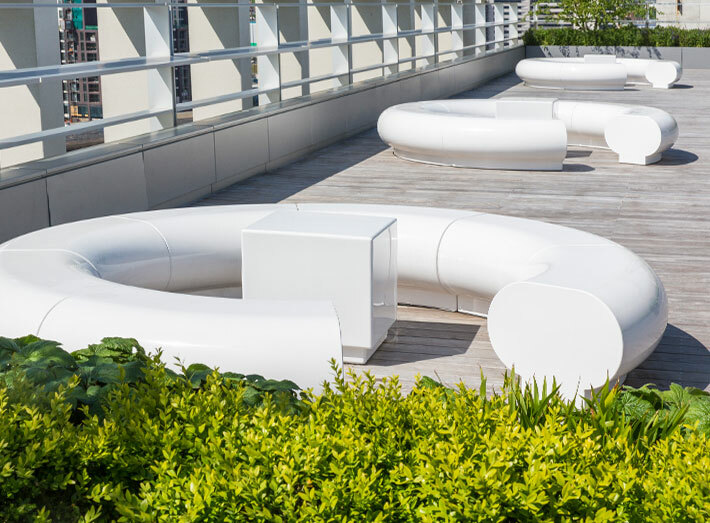 Halo seating with Cube tables, composite moulded - extremely durable, weatherproof and vandal resistant. 2. 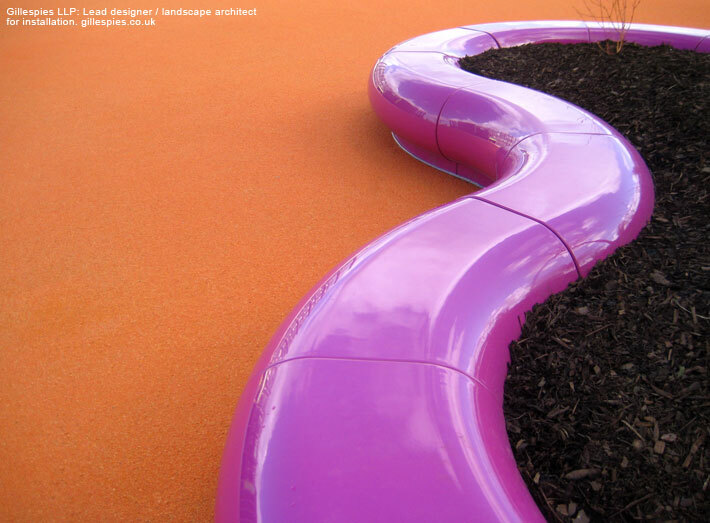 Ideal for architects and landscape gardeners looking to create real impact. 3. 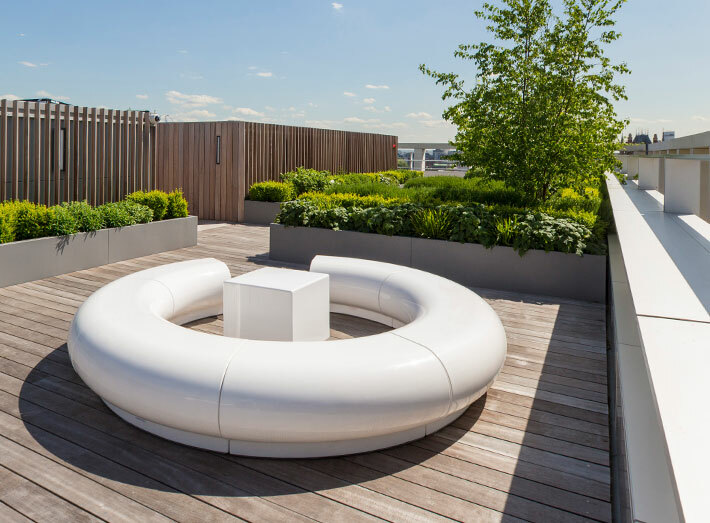 Halo white seating - Kings Cross, Pancras Square, London roof top garden. More photos and case study. 4. 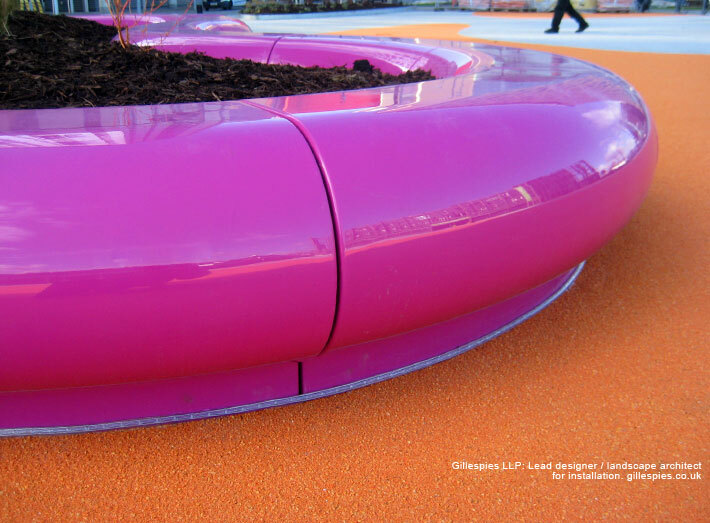 Halo modular seats in pink RAL 4006 at Media City UK a new waterfront destination for Manchester. 5. 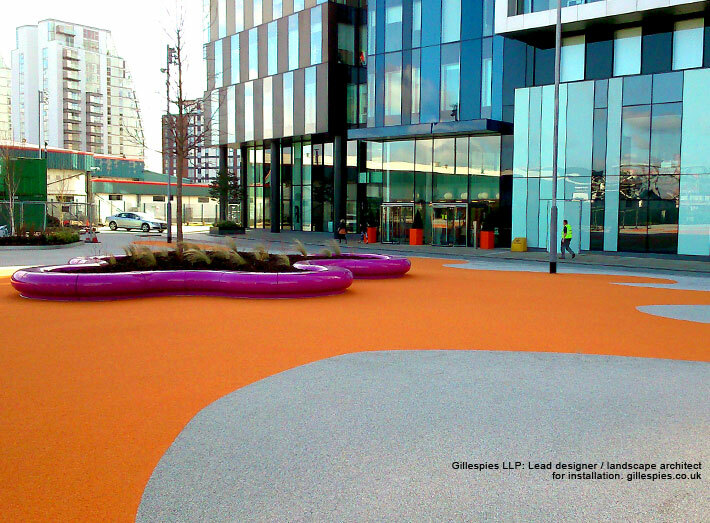 An orange central open area for events with snaking Halo seating arrangements. 6. 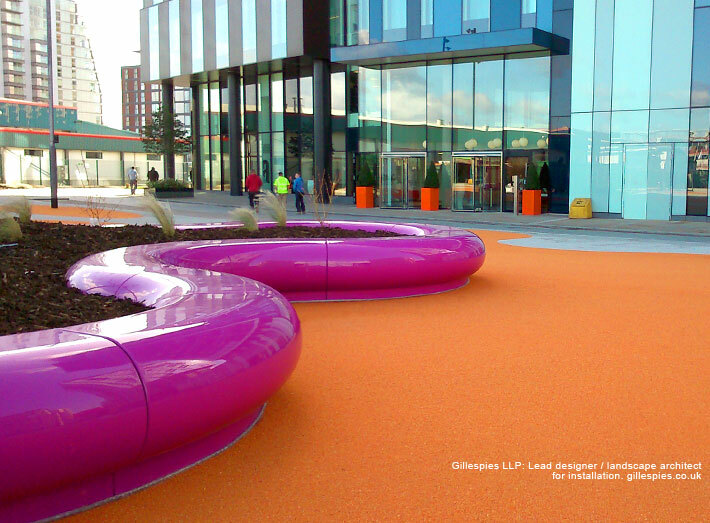 Media City UK is a 200-acre mixed-use property development, with space for pop up buildings and cafes. 7. LED rope lighting affixed to the base of the modular seating. More photos and case study. 8. Halo seat sections can be adapted to fit any size of space. 9. 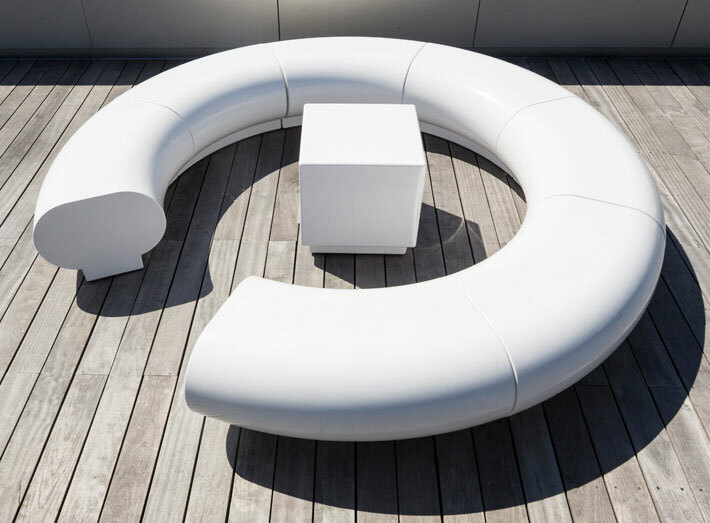 Halo seating for corporate and commercial buidling interiors and exteriors. 10. 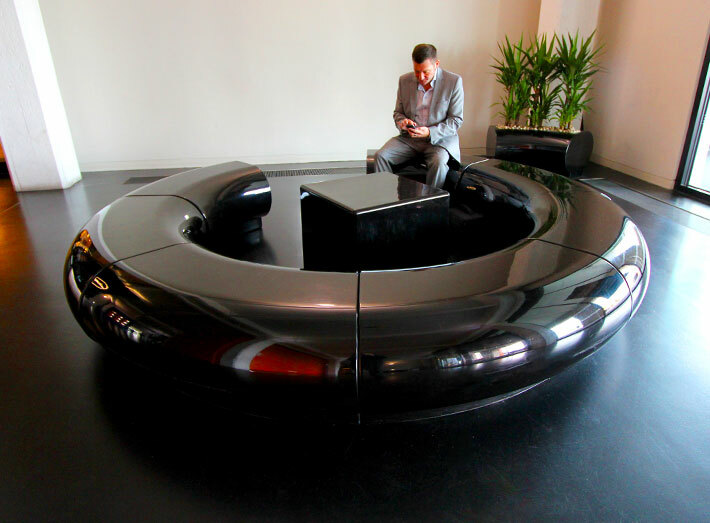 Halo seating for showrooms, exhibitions, foyers and lobbies. 11. 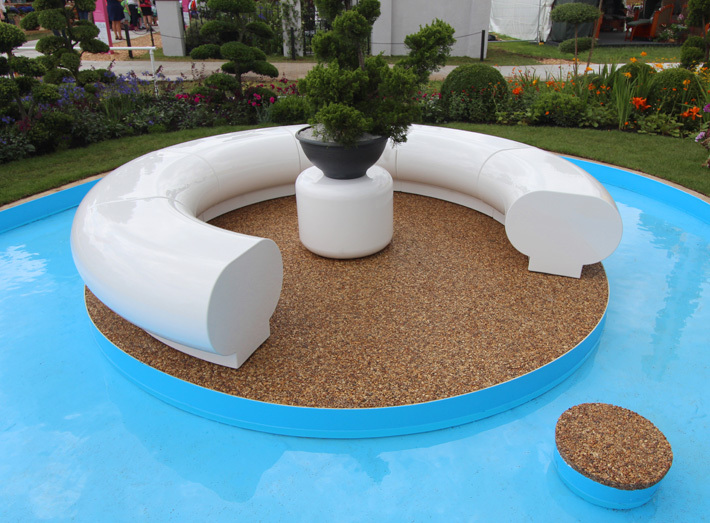 Halo seating landscape garden design focal point, RHS Hampton Court Flower Show. More photos and case study. 12. 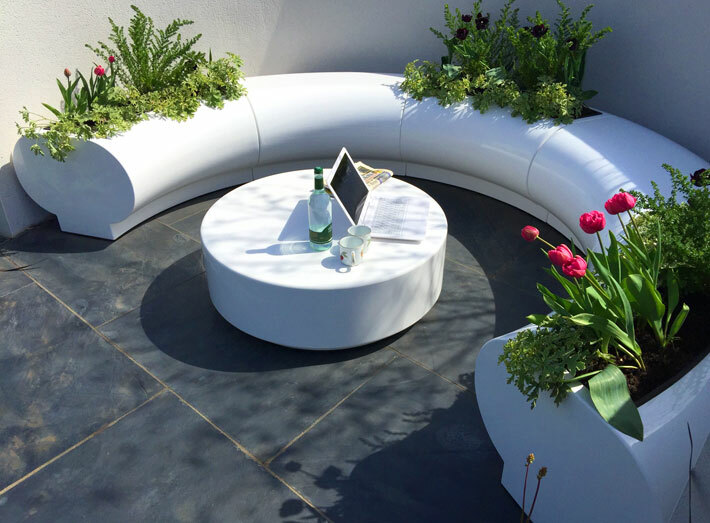 Halo seating and matching planters award winning RHS Malvern garden design. More photos and case study. 13. 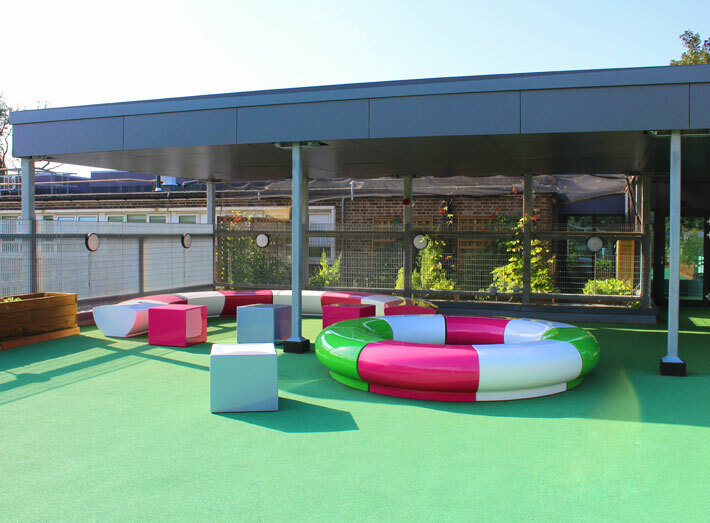 Halo seating specified for Earlham Primary School in Stratford, London, creating colourful fun spaces for children to engage with their learning and play. More photos and case study.